Pipe clamps, or pipe fixings, are best defined as the support mechanism for suspended pipes, whether that be horizontal overhead or vertical, adjacent to a surface. 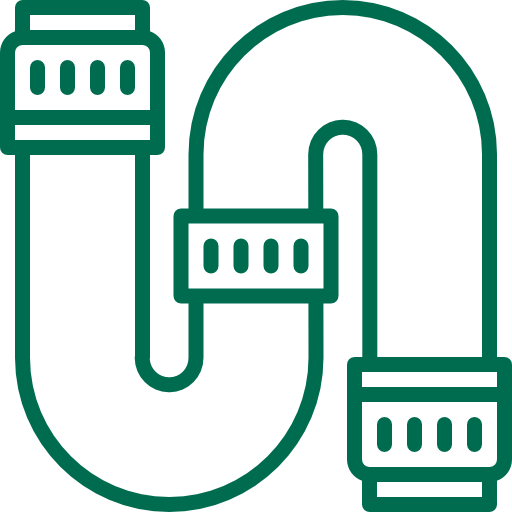 They are vital in ensuring all pipes are fixed securely while also allowing for any pipe movement or expansion that may occur. 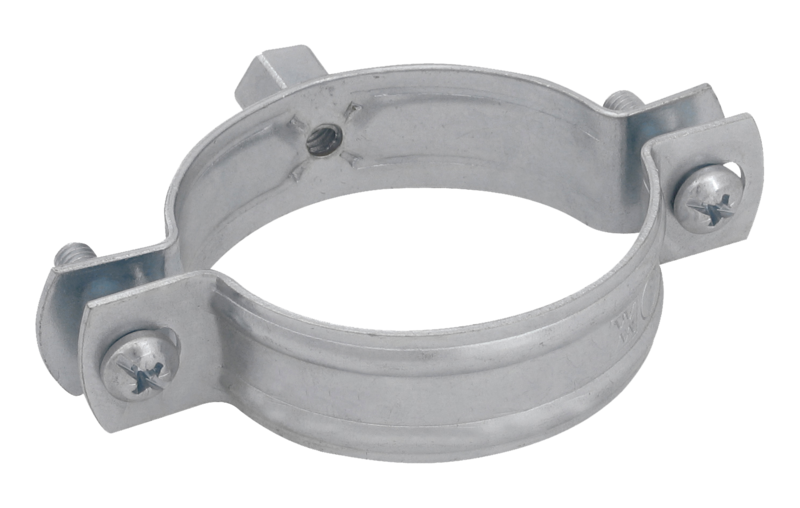 Pipe clamps come in many variations as the requirements for pipe fixing can range from simple anchoring in place, to more complex scenarios involving pipe movement or heavy loads. It is essential that the right pipe clamp is used to ensure the integrity of the installation. Pipe fixing failure can cause significant and costly damage to a building so it is important to get it right. 3. Which pipe clamps are the best? 4. What size pipe clamp do you need? Standard clamps are typically fixed using two screws – one on either side of the clamp. They can be lined or unlined, depending on the application and there tends to be a wide range of sizes to choose from. These clamps have evolved and Walraven now offers a single screw pipe clamp with a quick-locking system that is fixed in place simply by pushing the clamp together by hand. Best for straight-forward installations of metal or plastic pipes. Traditional clamps include split bands, U Bolts and Saddle Clamps, most commonly used to hold steel or copper pipes. 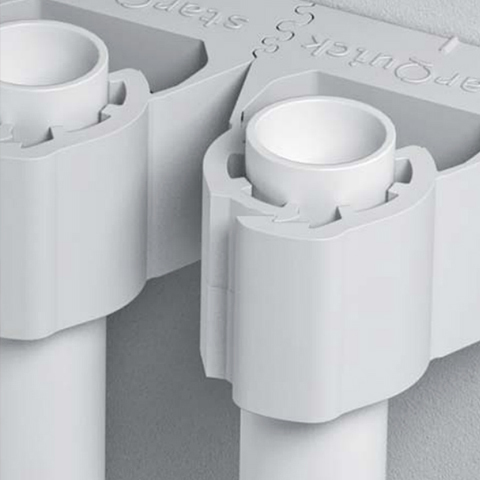 They have no internal lining so are best suited to pipes where there are no additional variables to be considered such as temperature or noise insulation. Take a look at our blog which analyses traditional pipe clamps versus heavy duty pipe clamps, to see which is best. 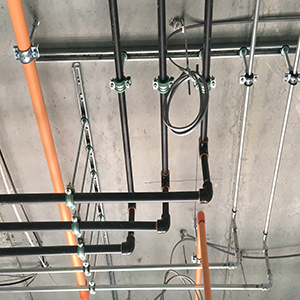 Best for large diameter steel and copper pipes where a basic, traditional bracket is preferred and there are no special requirements for rubber lining. Plastic clamps are mainly used on plastic pipes or domestic copper pipes. They are perfect for light loads and smaller diameter pipes. They are also great for jobs where lots of clamps are required due to their quick installation time. Plastic clamps, such as the Walraven starQuick®, are now being manufactured for ultra-fast installation. You can simply fix the pipe in place without any additional fixings. Best for sanitary, heating and electrical installations as well as corrosive environments. Heavy duty clamps have a high safe working load, so are designed for use where a heavy load support is required. They can be used indoors and outdoors and are available both with and without lining. They have modern features to make them easier to fit than traditional clamps. 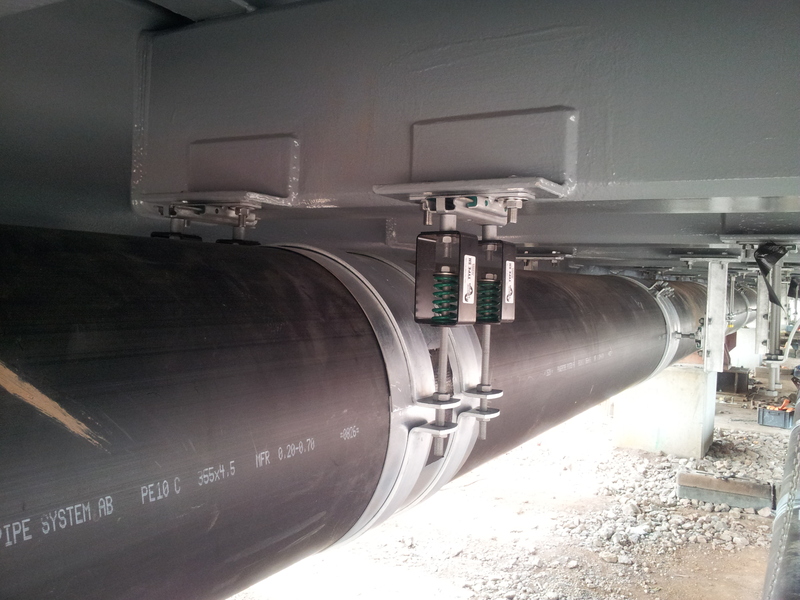 Take a look at how our heavy duty pipe supports were used to secure district heating pipes to the underside of a bridge. Best for safe fixing of heavy load pipework indoors or outdoors. How do pipe clamps work? In most instances, pipe clamps work by fixing securely around the pipe and suspending it from a surface or rail system. They simply lock around the pipe to clamp it in place so that it is secure. Since there are many different types of pipe clamp, however, you will find that they can work slightly differently. Standard clamps work by securing two screws in place, one on either side of the clamp. More state of the art versions of standard clamps can include single screw pipe clamps for faster fixing and more advanced two screw clamps that have additional features such as anti-loss washers and captive locking nuts and screws. Saddle clamps work by fixing over the top of half of the pipe, whilst the other half sits on a flat surface. Plastic clamps can work in different ways. 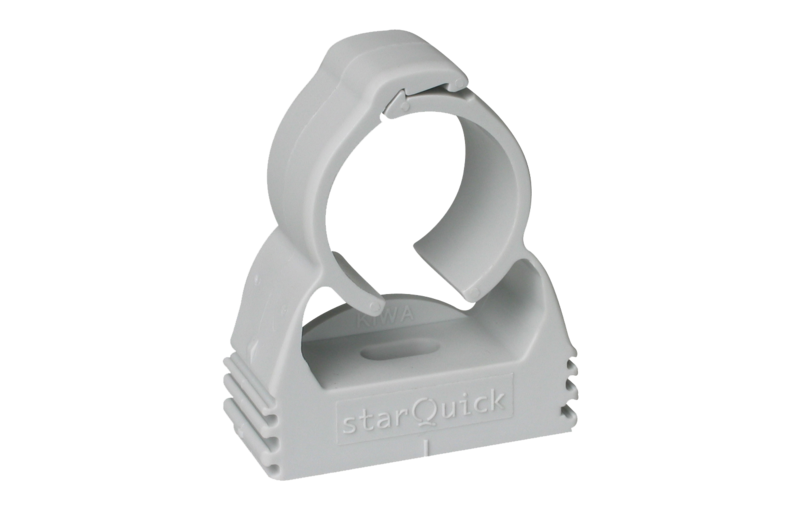 In the case of the BIS starQuick®, it is usually fixed to the wall with a screw or plug and you simply push the pipe into the clamp and it will close on itself for ultra-fast and secure fixing. Pipe hangers or U Bolts allow the pipe to sit into the bottom section of the clamp. 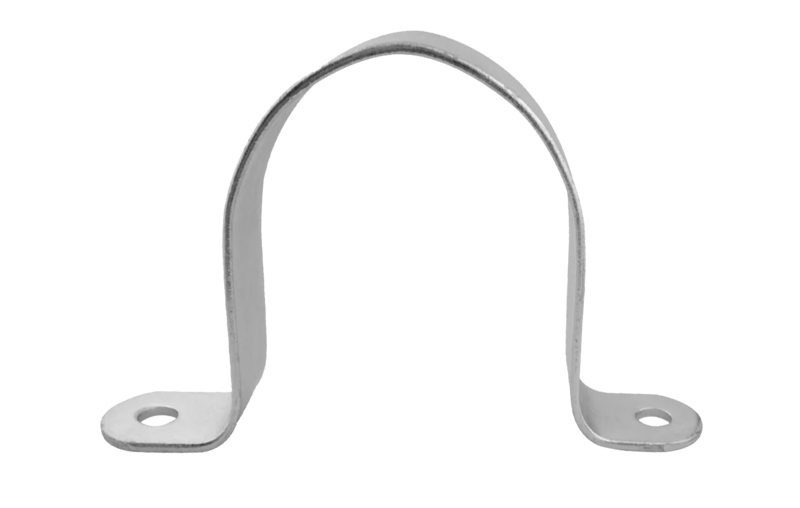 The hanger is typically fixed at the top to a piece of strut. When looking for a simple and fast pipe clamp installation, a single screw clamp is the answer. The BISMAT Flash is a unique, state of the art product that requires no tools to fix the clamp in place. You simply use one finger to push the screw and lock it in place. The BISMAT Flash is particularly useful when fixing long runs of pipe as you can save up to 40% fixing time. The images below show you just how easy the Flash is to use. Which pipe clamps are the best? When it comes to selecting the best pipe fixings for a job, there is no ‘one size fits all’ solution. 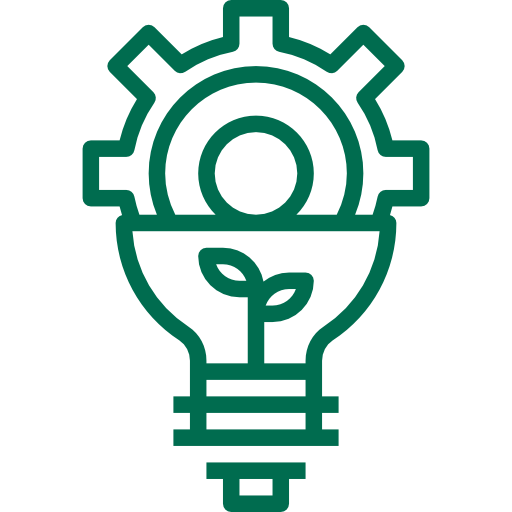 In fact, selecting the best fixings depends on each unique installation environment and application requirements. What needs to be taken into account when selecting the best pipe clamp? 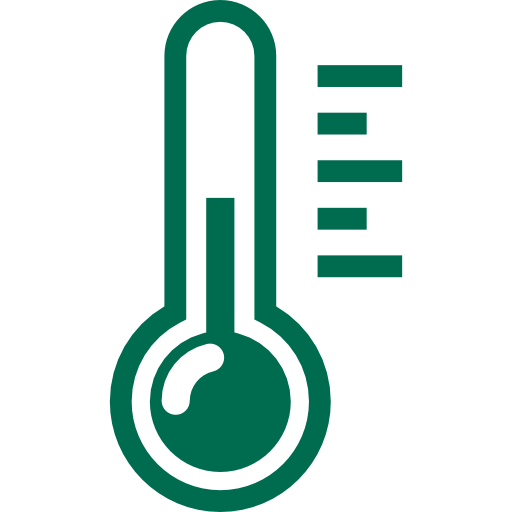 Temperature variations can cause pipes to expand and contract. 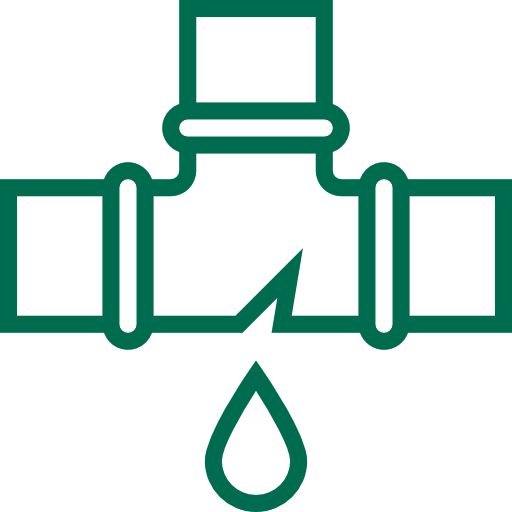 If the correct fixings and clamps are not used to take into account the pipe movement due to temperature changes, the installation could fail and cause damage to the building. 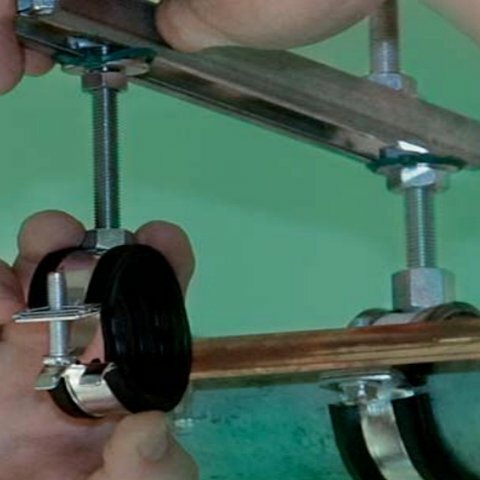 Before you can select the right clamps to deal with thermal expansion, you first need to calculate the level of thermal expansion on the pipework. All pipe clamps have a maximum load bearing capacity, which means you need to select a clamp which is suitable for supporting the load required. 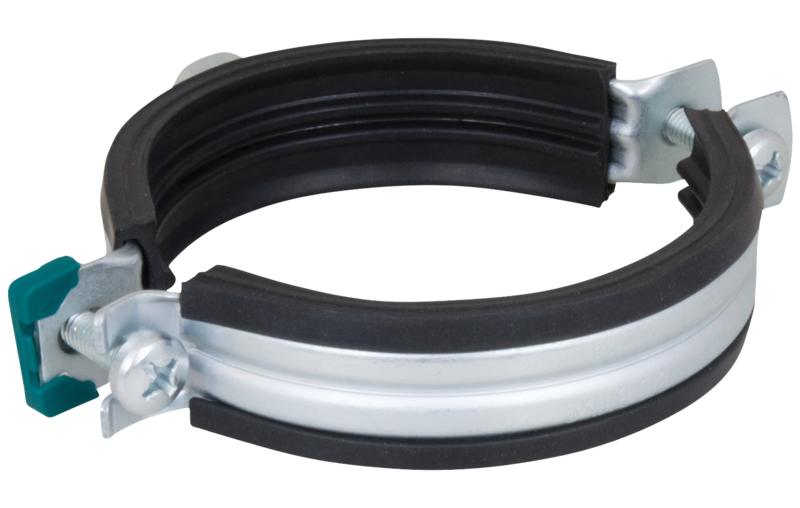 As an example, you may require special heavy duty pipe clamps with a high safe working load to ensure the pipes are secured properly. These can also help you achieve maximum bracket distances between clamps as they are able to take more force. 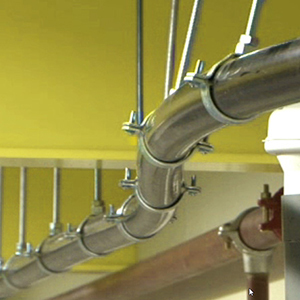 Pipes made from different materials will react very differently in certain scenarios. For example, there are many different types of plastic pipe (PE, PVC, PA, PP etc). 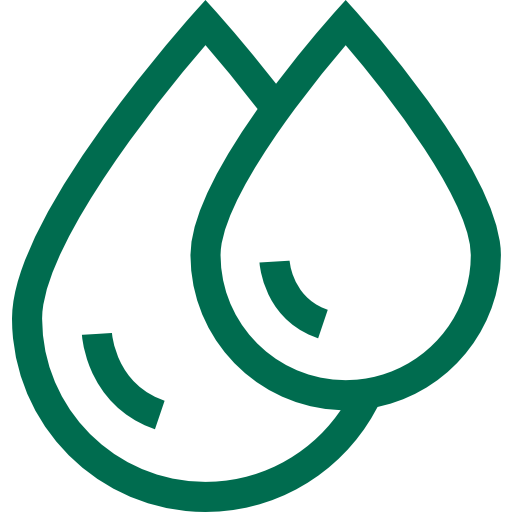 Each has a different temperature resistance, and different resistance levels to chemicals such as oils, greases, acids, chlorine etc. This can affect what type of clamp should be used. For example, plastic pipes should usually be secured with a lined metal clamp or plastic clamp. An unlined metal clamp can lead to corrosion if used on a plastic pipe. Then there are different types of metal pipe – steel, iron, copper and so on. This can determine what kind of pipe clamp can be used, for example, stainless steel pipe clamps cannot be used to fix a copper pipe as the two metals will react. So a nylon coated or plastic clamp must be used. The size of the pipe will influence the type of clamp you need, since all clamps will only be available in certain minimum and maximum diameters. 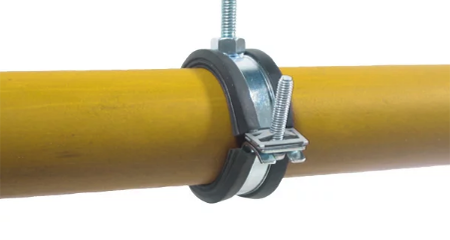 For example, single screw clamps often have a more limited size range as they have to hinge open on one side, so are suited to smaller pipes. Larger pipes will often need two screw clamps, traditional fixings or heavy duty clamps which are manufactured to suit larger sizes and heavier loads. The environment into which your pipe clamp will be installed can affect the type of clamp you should use. 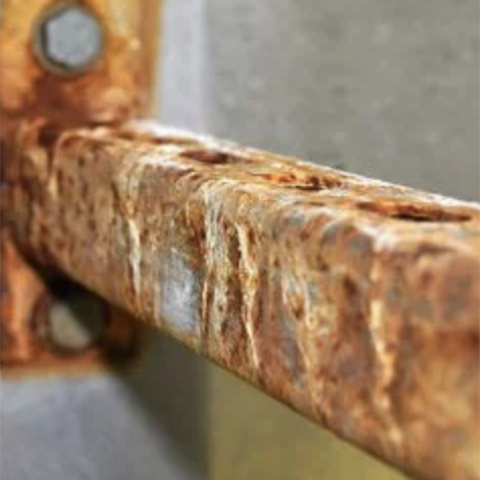 For example, if the installation is external and exposed to the weather, this is an important consideration and will more than likely require a pipe clamp with a special coating for corrosion resistance. Many of our standard pipe fixings are available with our special corrosion resistant coating BIS Ultraprotect for outdoor use. 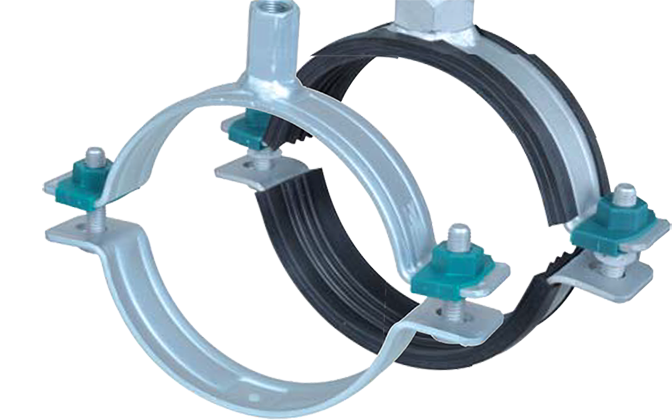 If you are installing within a chemical environment or wet environment like a swimming pool, you may require a special kind of plastic clamp such as our BIS starQuick. Some construction projects can have special requirements such as noise insulation or fast installation needs. In these cases, there are specialist clamps that can be used. For example, if the requirement is to install the pipe clamps as quickly as possible, a one screw clamp that requires no tools would be better than a two screw clamp. 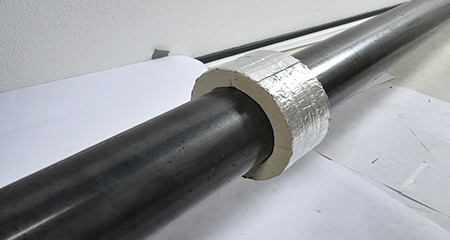 For noise insulation, pipe clamps with rubber lining will provide soundproofing. 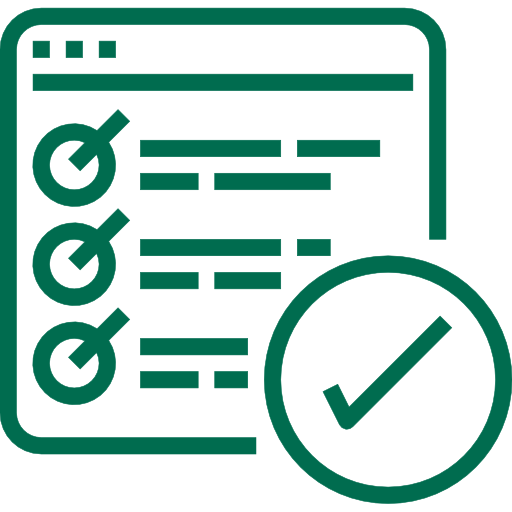 Many of Walraven lined clamps have certified levels of sound insulation. 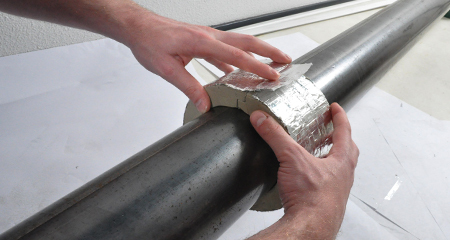 Find out more about soundproofing your installation. What size pipe clamp do you need? To determine what size pipe clamp you need, the most obvious thing you need to take into account is the size of the pipe. This is usually measured in NB (Nominal Bore) or O/D (Outer Diameter). This will determine the diameter of the pipe clamp that you require. See our handy chart below for converting NB pipe sizes. 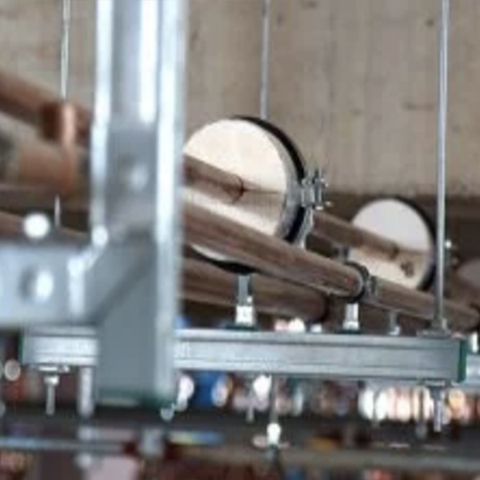 Secondly, you need to consider whether you are installing the clamp over insulation such as phenolic or wood block, as this will increase the diameter of the clamp you require. 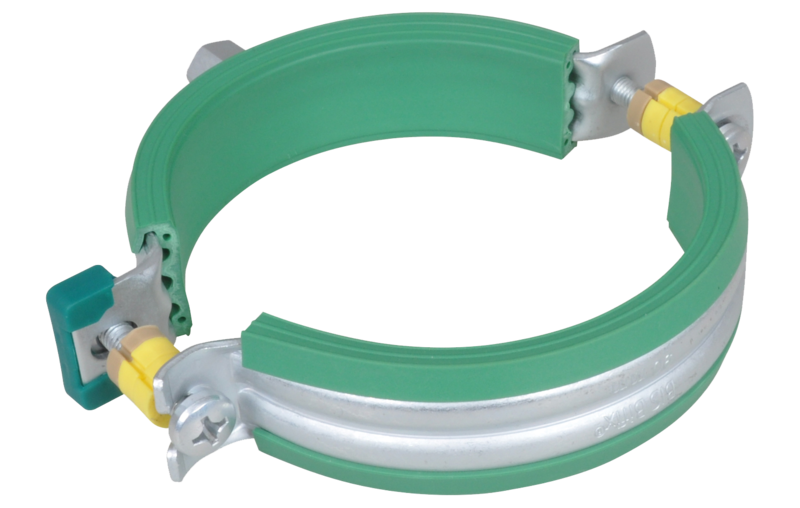 At Walraven, we have a huge range of adjustable pipe clamps that fit 99% of known pipe sizes, including clamps suitable to install over insulation. The smallest clamp in our range is 12mm, the largest is 1200mm. Even if your pipe is outside of these sizes we can manufacture custom pipe clamps. Get in touch with us to see how we can help your next pipe clamps project. We have created a useful chart to help you convert standard pipe sizes from NB to O/D. This will help ensure you purchase the right size clamp for your pipe. The chart covers standard pipe sizes for steel and copper pipe. You can get your copy by clicking the image below. 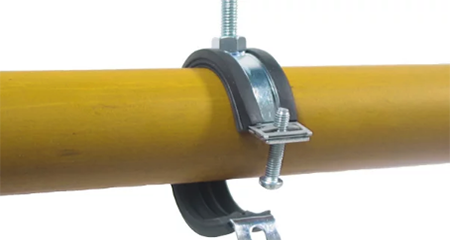 Some applications require pipe clamps to have a rubber lining. This is often a requirement due to the material or temperature of the pipe. 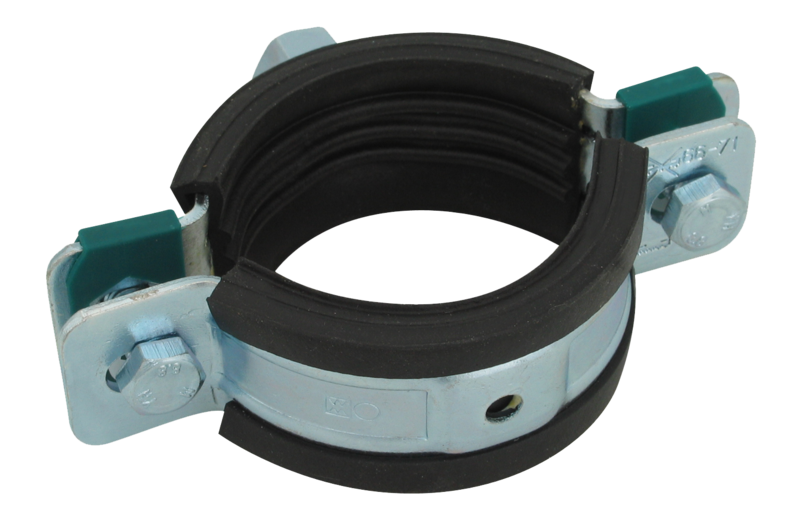 Lined clamps also offer noise insulating properties. There are three main types of lined pipe clamps. The black, EPDM rubber lined clamps are suitable for steel pipes. This is because they have a series of ribs on the inside of the lining that grips the pipe so that they cannot move. They anchor the pipe securely. If required, pipe movement can be dealt with via fixing accessories such as ball swivels or expansion devices. Green, EPDM rubber lined clamps are specially made for plastic pipes. They are finished with a smooth surface, making it easy for plastic pipes to slide within them. This prevents any fixings being forced out of place. 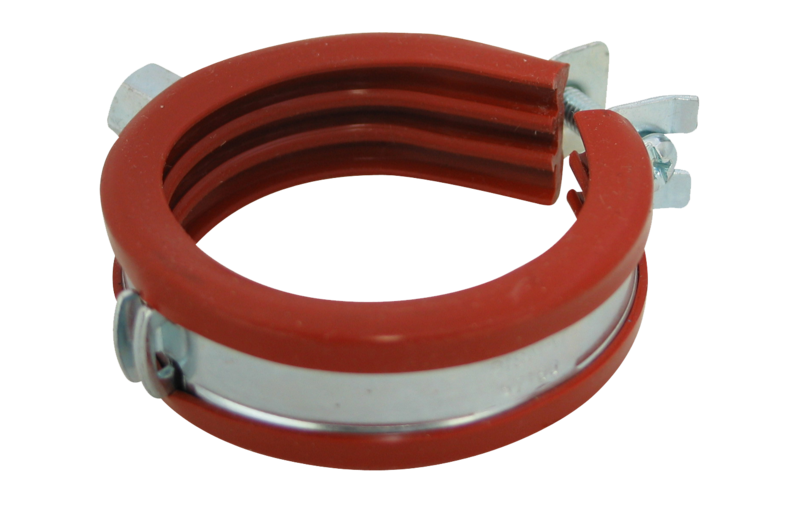 Red, silicone rubber lined clamps are used in extreme environments. The red lining on these clamps is made from silicone that is heat resistant up to 200°C, making it perfect for very hot pipes. The storage environment for pipe clamps only rarely has an impact, especially if you are able to store them in dry, stable conditions. You should be careful, however, if you store clamps with EPDM linings in a location with temperature variations. Lined clamps have been known to become brittle at very low temperatures and can melt at very high temperatures. So it is best to avoid temperature extremes. It’s always best practice to check the documentation on the recommended storage conditions for the clamps you’re using. Again, do talk to us if you have any concerns. 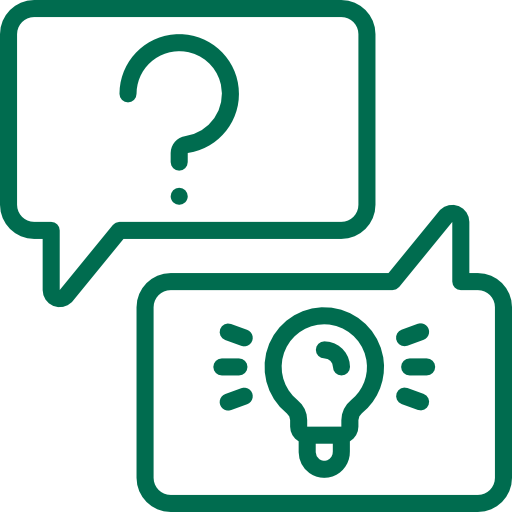 What are the advantages of Walraven’s pipe clamps? We have a vast range of pipe clamps and brackets for fixing pipework, that covers 99% of all known pipe sizes and pipe types. Even on the rare occasions when you have a pipe that our standard clamp range doesn’t cover, we can often manufacture bespoke clamps for your project. 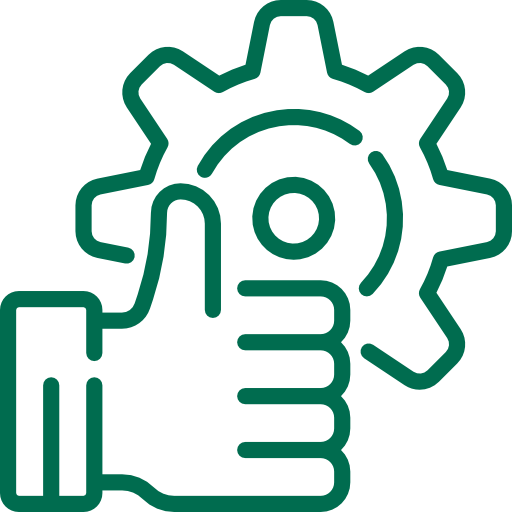 As a global company, we have invested in state of the art technology which allows us to be as accurate as possible when making calculations and designing effective pipe fixing installations for our customers. 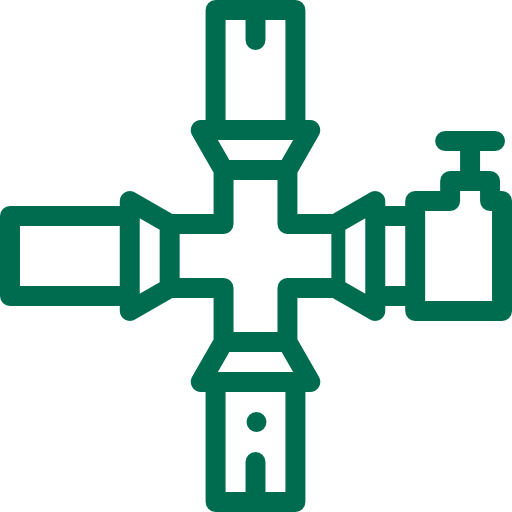 Unlike some other pipe clamp manufacturers, all of our pipe fixings are manufactured within our factories at Walraven. We don’t outsource anything, and so we control the manufacturing process from start to finish. 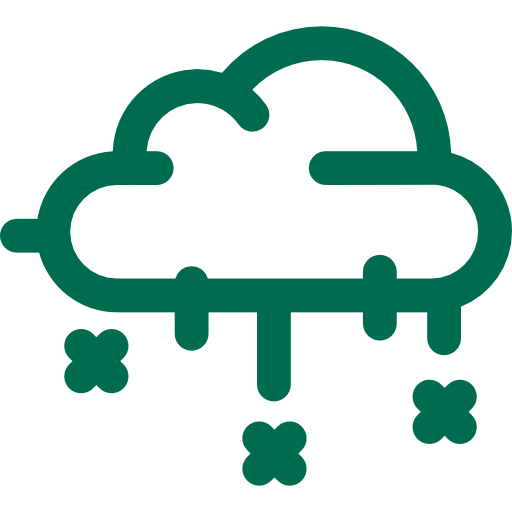 This means we have 100% control over the quality of our products at all times. We recognise that sourcing and specifying pipe clamps can sometimes be complex. 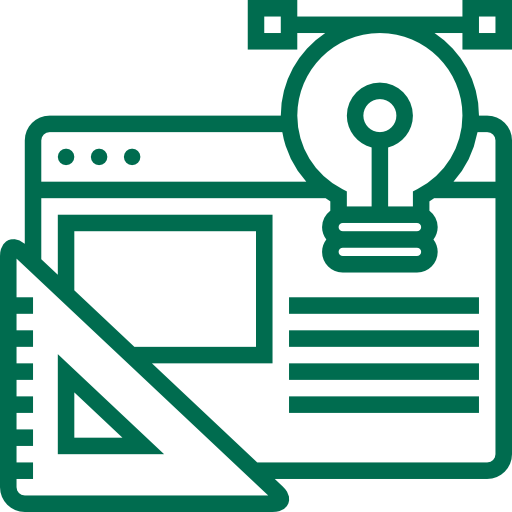 Our team of Technical Support Advisers provide a FREE project support service to our customers including consultation and problem-solving. Corrosive environments are graded from C1 (low levels of corrosion in the environment) to C5 (highest levels of corrosion expected). Walraven manufacture pipe clamps and fixings that are suitable for use in C1-C4 environments. 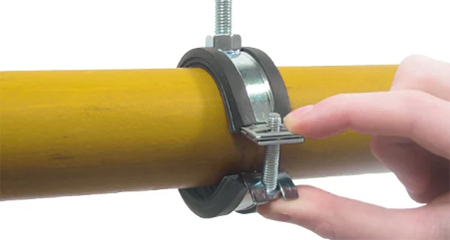 Our pipe clamps and associated fixings such as slide guides, expansion devices and fixing points can be used to ensure that pipe movement can be dealt with effectively, removing the risk of installation failure due to thermal expansion. We go above and beyond when testing our pipe fixings. Not only do we test to RAL approved standards, in-house we test our clamps to destruction, so we know exactly how good they are! We can provide the entire pipe fixing system from anchor to clamp! We can provide much more than just clamps for pipes, we manufacture every component you need for the complete pipe support system. From anchors to rails/strut and all the additional accessories required are all available from us. We can even prefabricate entire systems, eliminating hours of installation time. 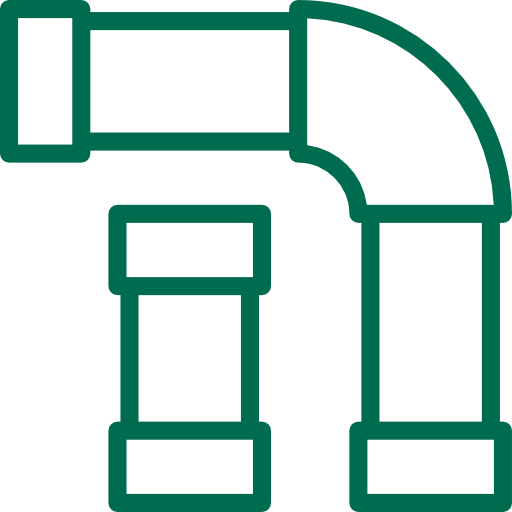 Walraven BIS Phenblox® are used in conjunction with unlined clamps to provide thermal insulation around pipes. Our special bore coating eradicates any possibility of pipe corrosion on copper pipes and stepped joint faces ensure a vapour seal and accurate location. 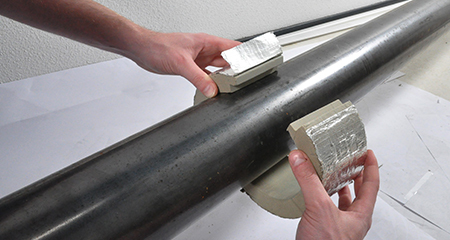 We’ve designed our phenolic insulation to be compatible with almost all unlined pipe clamps whilst retaining the best available thermal insulation properties available. Phenolic insulation is much more cost effective than wood, calcium silicate or foam glass alternatives due to a higher insulation value. Take a look at our Phenblox® brochure which includes a handy table to help you select the right phenolic and pipe clamp combination. 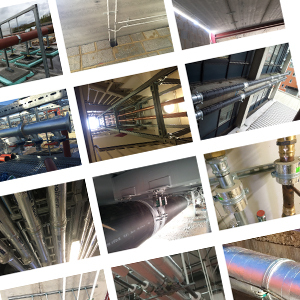 The image below shows one example of a complete pipe support system we have delivered. Do you have a question about pipe clamps? 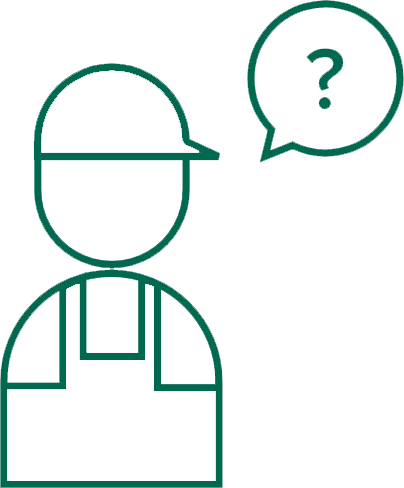 If you have a question about one of our clamps or a niggling question about pipe support systems as a whole, then please contact us using the form. 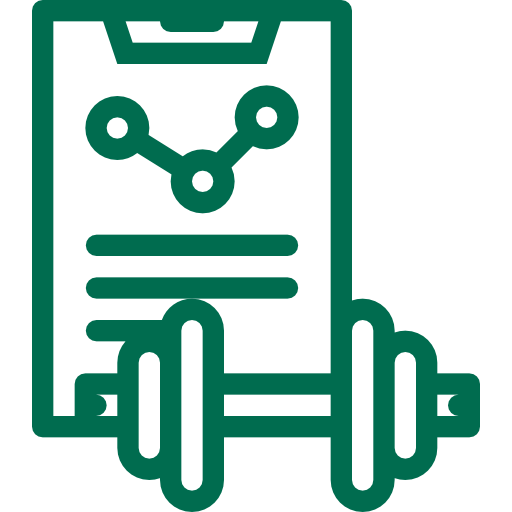 Our experts will be on hand to provide you with any knowledge or technical information that you require. How do I choose the right bracket fixing distance? Unfortunately for installers, there are no official guidelines or standards for bracket distances between pipe clamps. The major downfall of this is that sometimes, the bracket distance can be made too wide and result in the pipes starting to bend. 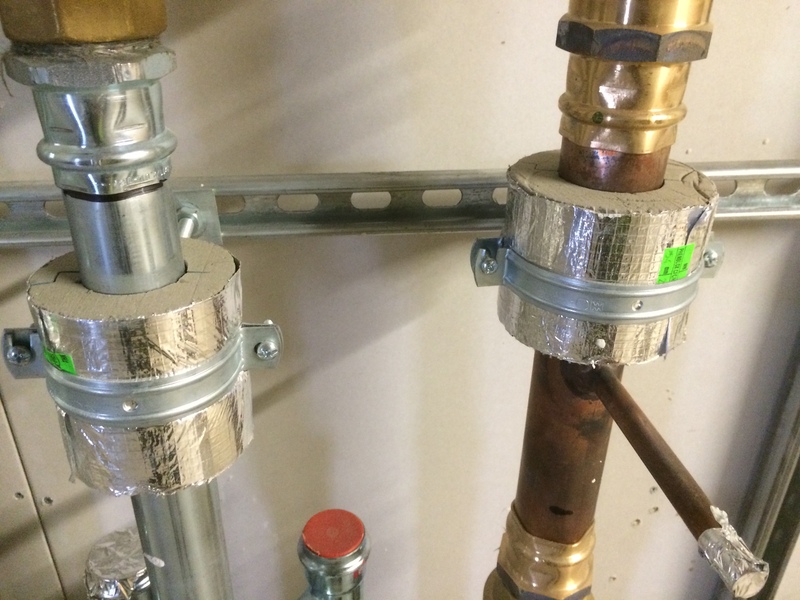 An efficient way of fixing pipework is securing multiple pipes to one bracket. As a suggested rule of thumb, the individual pipe with the shortest required bracket distance should determine the bracket distance used. Pipe manufacturers will usually provide you with a maximum permissible bracket fixing distance. This distance is determined by the combination of the pipe material, the diameter and the weight of the pipe. 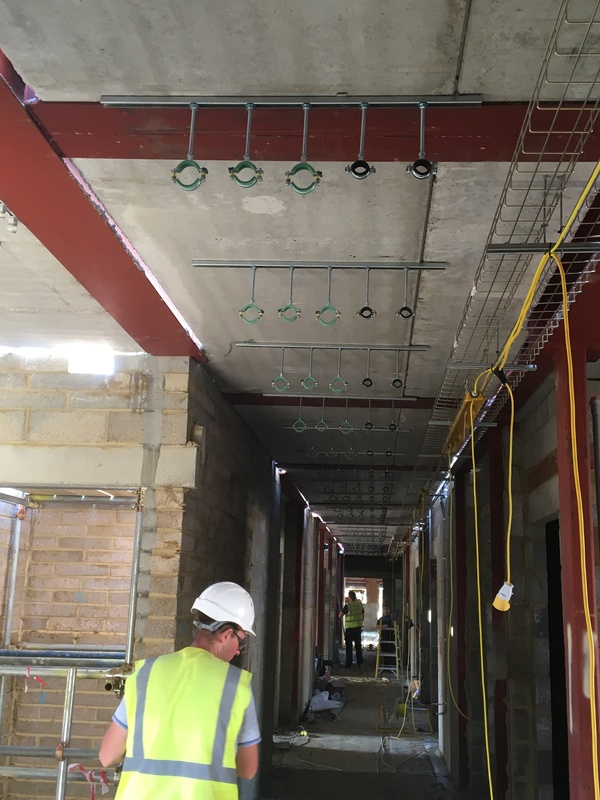 With steel pipes the bracket distance is generally permissible up to 6 metres, but in practice you rarely see this as installations can be complex. 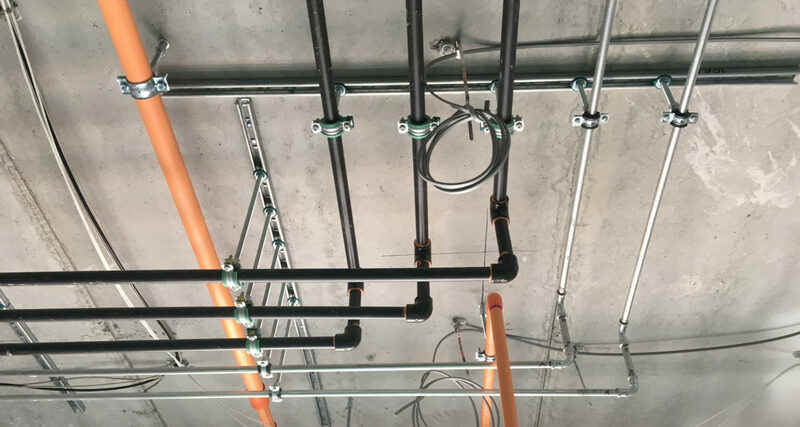 We have been in the pipe fixing business for over 75 years so we have the knowledge and expertise to advise you on how to determine the correct distance between clamps to ensure a safe installation. Pipe clamps can have a significant contribution to the overall noise reduction in your building. 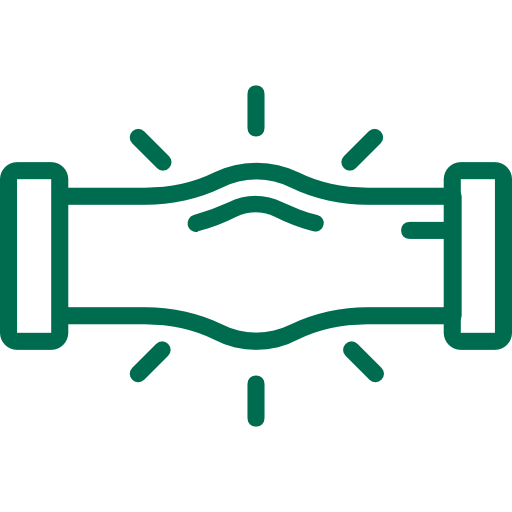 Take a closer look at the Walraven starQuick®, the self-closing plastic pipe fixing. Depending on the application, it is possible that your pipe clamp, if not chosen correctly, can begin to erode itself or the pipe. Take a closer look at the Bismat Flash, the fastest fitting clamp on the market. 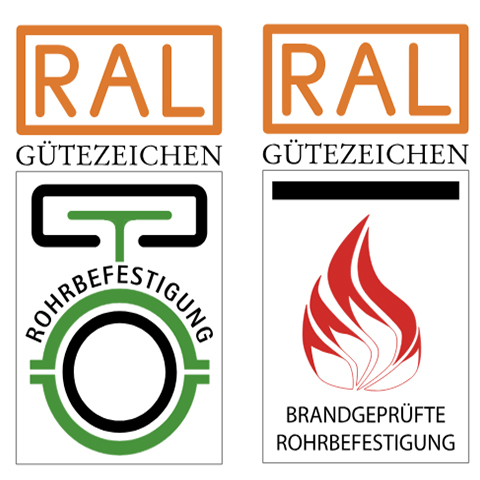 Take a closer look at RAL’s testing requirements and accreditation. 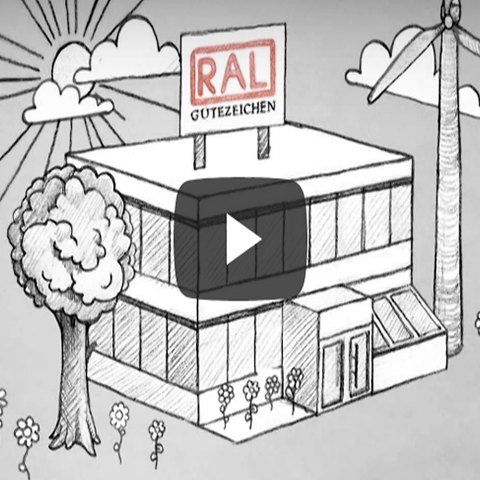 This short video will show you why RAL quality marks are so important in today’s construction industry. 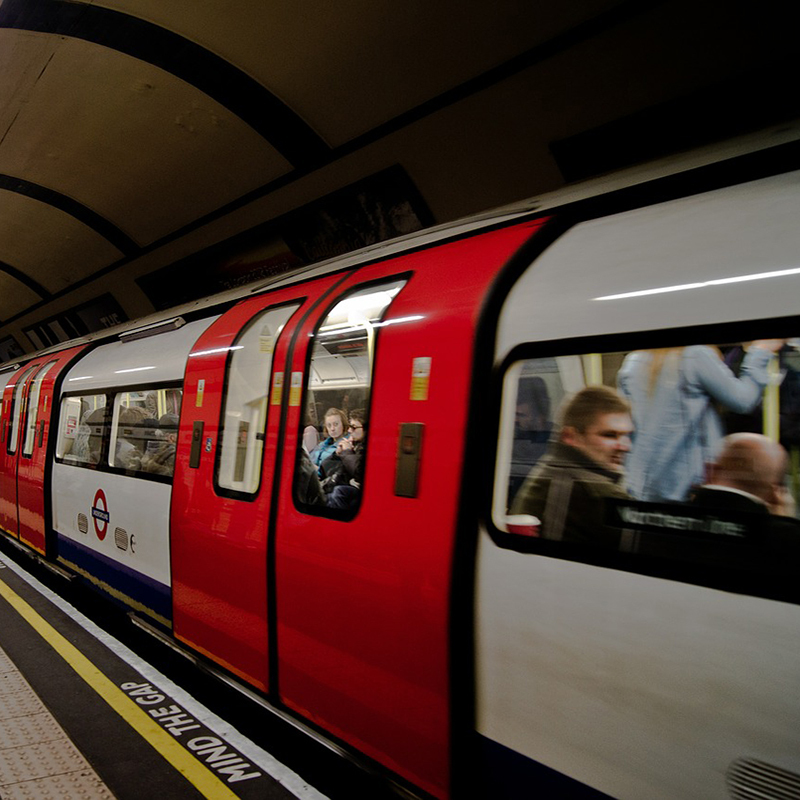 Learn more about products that have met the London Undergrounds requirements and have been authorised for use within the network.